Three sixth-formers have qualified for the next stage of the élite British Mathematical Olympiad after strong performances in the first round. 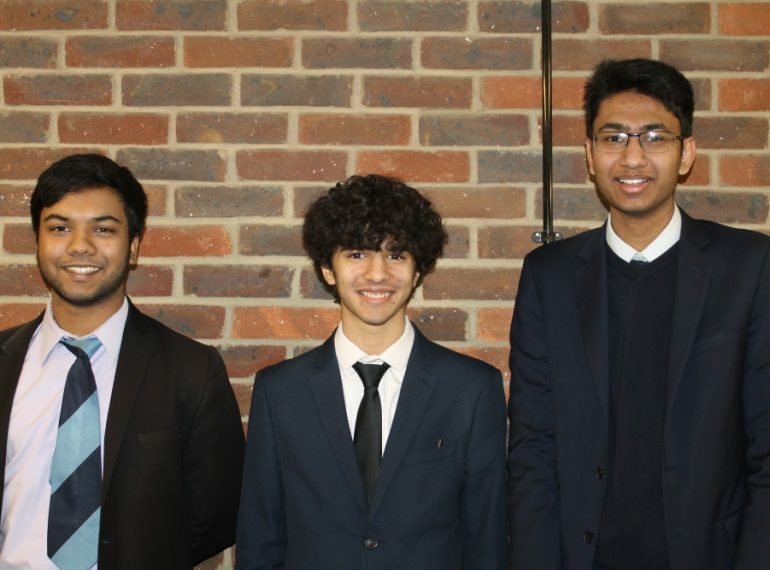 Bashmy Basheer, Nico Puthu and Niam Vaishnav, all of Year 13, were among nine boys to reach Round 1 of the Olympiad, which is itself one of the follow-on rounds of the UK Mathematics Trust’s Senior Maths Challenge. They won a certificate of distinction and a bronze medal, with Nico scoring 40 out of 60 and both Bashmy and Niam scoring 37. They now progress to Round 2, where success results in an invitation to participate in training to represent the country in the International Mathematical Olympiad. Assistant Head of Mathematics Wendy Fung congratulated the three on their achievement in the first round and wished them success in Round 2. 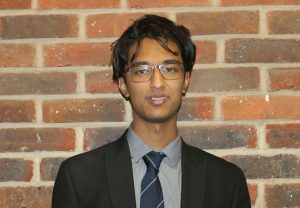 Their fellow Year 13 pupils, Kiran Aberdeen, Kishan Patel and Robert Sarkar, also achieved a certificate of distinction. The remaining three sixth-formers all achieved a certificate of qualification in Round 1, which consisted of six long, extended questions to be completed in three-and-a-half hours. A further 29 sixth-formers took part in the Senior Maths Challenge’s other follow-on round, the Senior Kangaroo, which represents an increase on the 2017 total of 25 and the 2016 figure of ten. Thirteen boys were each awarded a merit certificate for scores of 35 and above. Saruthan Seelan (pictured above right) in fact achieved double this total, with his score of 70 out of 100 making him the best in Year 12. 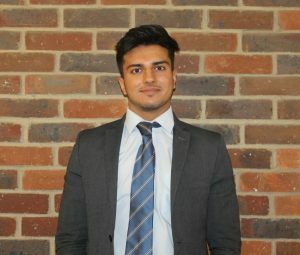 Sehj Khanna (left) was the highest scorer in Year 13 with 50/100. The Senior Kangaroo is a one-hour paper, with all the questions requiring three-digit. Certificates of merit are awarded to the top 25%.